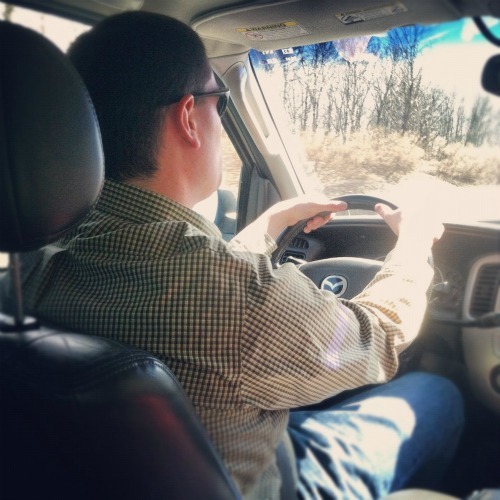 since it was such a nice day on saturday, we decided to take leko on his very first road trip! 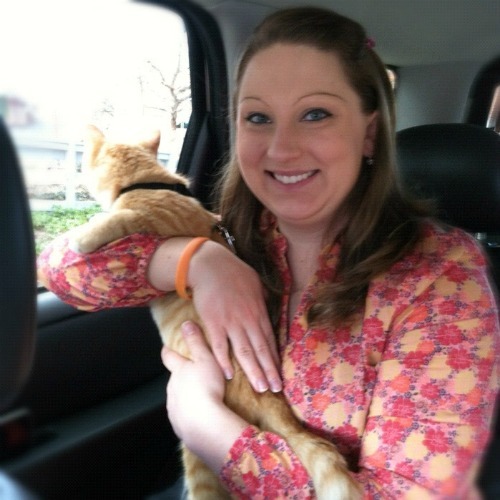 leko has taken rides in our cars before, but only for short little jaunts to the vet or to places nearby our house. so, this was his first long trip in a car. we drove leko down to ryan's parents' house for the day, and we were both surprised by how good he was during the entire trip! 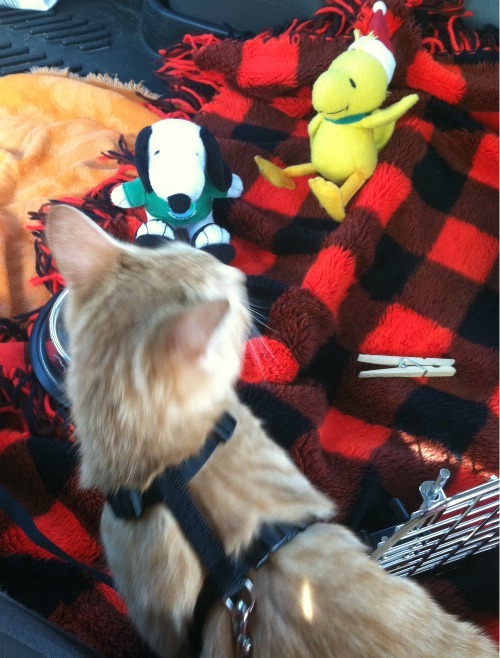 when we left our house, we took leko outside to the car in his little kitty taxi. 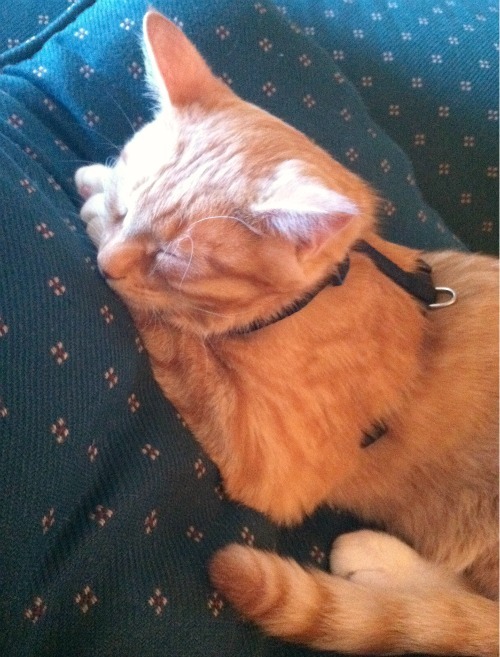 we thought that he might not want to be stuck in his kitty taxi for such a long drive, so we bought him a kitty harness and a leash. 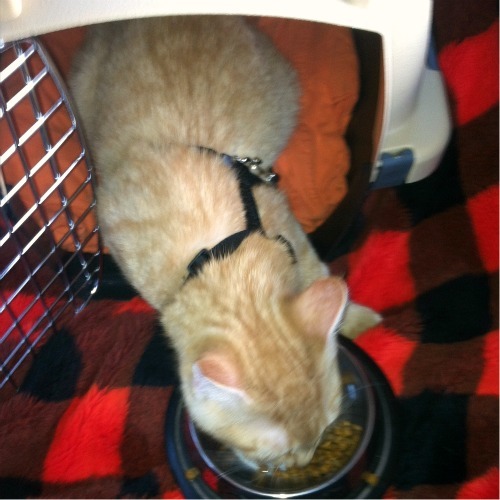 we secured his leash to a clip in the car to keep him safe, and we laid down the back seats so that he was able to roam around the car. leko just loved it, and we can't wait to take him on another trip again soon! he decided to curl up on their couch and take a nap. Traveling with pets is super fun. I loved taking our pooch camping with us. Glad you guys had a nice time! Such a cutie! I have two cats and one of them absolutely hates to travel, while the other just takes it in his stride and uses it as a chance to nap! Glad he didn't get car sick! He is one spoiled little fur-baby!